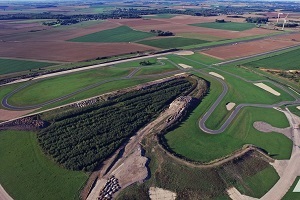 A return visit to the full 2700 meter long Clastres circuit with its mix of twisties from the original shorter circuit and sweeping turns and long straight from the new full circuit. Similar to Abbeville for Safety, Clastres is flat with good visibility and decent run off. * So far we haven’t had any issues with noise testing at Clastres. However, static may be checked. PLEASE READ OUR TERMS & CONDITIONS BY SIGNING UP FOR THIS EVENT YOU AGREE TO ACCEPT THEM.